To become a CMA (Cost Management Accountant) one has to prepare on a regular basis and with same enthusiasm level. The CMA examination was earlier conducted by The Institute of Cost & Works Accountants of India (ICWAI) which has now reformed its name to The Institute of Cost Management Accountant of India (ICMAI). 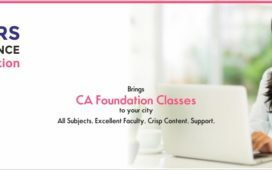 Foundation Group – Foundation is the entry level group in CMA examination and is being conducted four time in a year in the month of March, June, September and December. Eligibility criteria – Candidates who have passed their class XIIth examination may get register for foundation programme. Enrolment- The candidates may enroll themselves till July 31st for the December attempt and till January 31st for the June attempt. Direct Entry Route- The Direct Entry Route allows the candidates who have completed their under -graduation to get register themselves directly for Inter Group. CMA Inter- Once the candidate qualifies the CMA foundation examination, he/she is eligible to get register for CMA Inter examination which is being conducted twice in a year in the month of December and June. Eligibility criteria- Candidates who have passed their graduation or persuing the graduation then the candidate may get register fir CMA Inter group. Enrolment- The candidates may enroll themselves till Jan 31st for the December attempt and till July 31st for the June attempt. CMA FINAL – After passing the CMA Inter examination the candidates are eligible to get register themselves for CMA Final group and the CMA Final examinations are conducted in the month of June and December. Eligibility criteria – candidates who have passed their CMA Inter examination may get register for CMA Final group. Enrolment – the candidates may enroll themselves till July 31st for the December attempt and till January 31st for the June attempt.